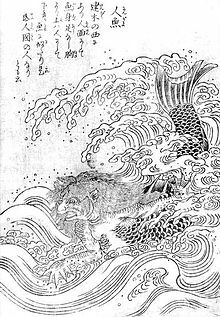 Ningyo (人魚, “human fish”, often translated as “mermaid”) is a fish-like creature from Japanese folklore, that according to Wikipedia, from ancient sources, had “a monkey’s mouth with small teeth like a fish’s, shining golden scales, and a quiet voice like a skylark or a flute”. According to Japanese Sea Deities (The Arcane Archive), the ningyo is a Japanese mermaid goddess who cries white pearl tears. And that it was said if women could capture her and take a bite out of her, they would have eternal youth and beauty. Catching a ningyo was believed to bring storms and misfortune, so fishermen who caught these creatures were said to throw them back into the sea. A ningyo washed onto the beach was also an omen of war or calamity. In Okinawa, people said eating ningyo would be unlucky, and particularly avoid eating the dugong. One of the most famous folk stories concerning ningyo is called Yao Bikuni (八百比丘尼, “eight-hundred (years) Buddhist priestess”) or Happyaku Bikuni. 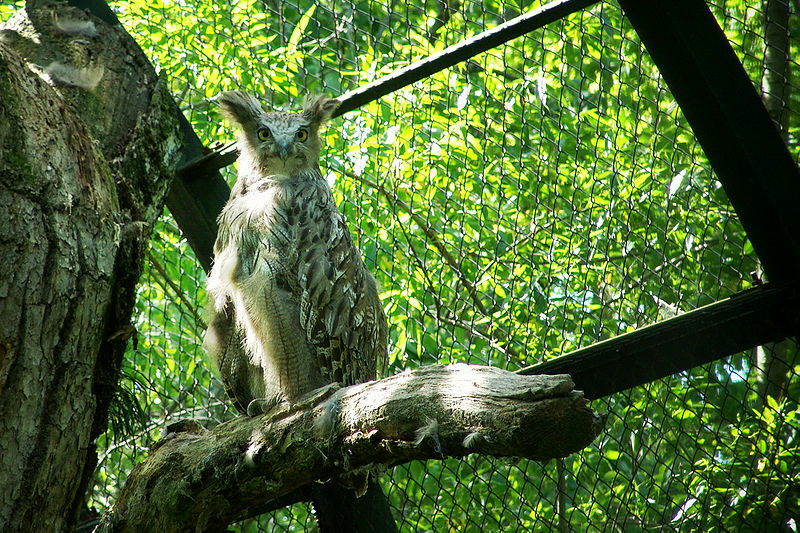 The story tells how a fisherman who lived in Wakasa Province once caught an unusual fish. In all his years fishing, he had never seen anything like it, so he invited his friends over to sample its meat. One of the guests, however, peeked into the kitchen, noticed that the head of this fish had a human face, and warned the others not to eat it. So when the fisherman finished cooking and offered his guests the ningyo’s grilled flesh, they secretly wrapped it in paper and hid it on their persons so that it could be discarded on the way home. 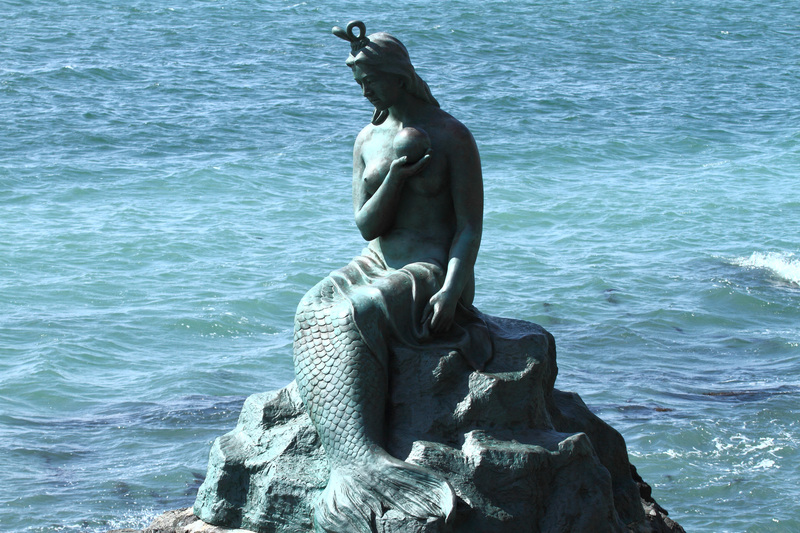 This is a tale from the town of Tabito called “the Mermaid Long-Life Medicine”. Once upon a time, a man held a feast on the night of Koshinko, and everyone in the village came. First it is important to understand Koshinko. Inside the human body, there is a bug called “Sanshi”. This bug watches every crime that a person does. Every 60 days, on the night of Koshin, the Sanshi bug goes to the Emperor’s house and reports all crimes that have been done. Depending on the crime, the Emperor shortens the lifespan of the evil-doer. When the night of Koshinko comes around, people would gather together, drink alcohol, and frolic about all night without sleeping. Old farming villages believed that doing all of this would prevent the Sanshi bug from reporting anything to the Emperor. At the Koshinko feast, the food prepared by the host turned out to be some type of mermaid meat. The guests were quite shocked and thought that is was a very odd. Without eating a single bite, all of the guests wrapped their servings in a piece of paper and brought it home with them. Everyone threw away their portion of this mysterious meat on the way home or after arriving home. But, at one of the homes, a teenage girl found the meat. Thinking to herself, “What a waste! I wonder what it is,” she sneakily ate it. After eating this, the girl’ appearance did not change, and she lived a long, long life. Before long, she became known as “Yao Bikuni”. “Yao” comes from her living until she was 800 years old; “Bikuni” implies that she was a nun. Depending on the region, she is also called “Happyaku Bikuni” or “Shira Bikuni” (“the White Nun”). 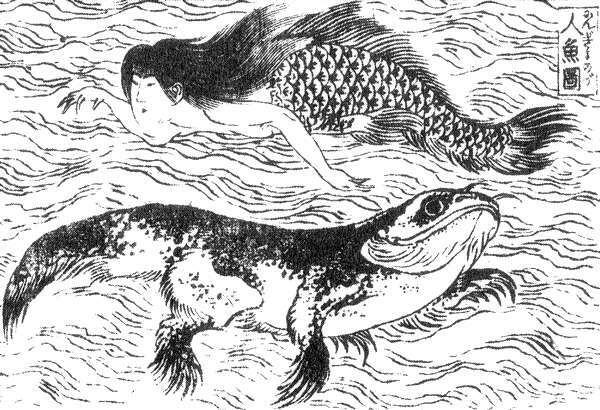 Many accounts of the half-human, half-fish mermaid meat were passed down from generation to generation as the “Medicine of Youth and Longevity”. One by one, one after another, her family and friends began to pass away, but no matter how many years passed, the girl would continue aging without a change in her appearance. Before long, any happiness she had in her life turned into emptiness and suffering. Not able to take the suffering anymore, she shaved off all of her hair and become a nun. Soon after, she left on a journey to travel around the world. But she never found happiness in her life. As more time passed, everyone she had ever known had died. She came to hate her unchanging, youthful appearance. To make things worse, people who saw her began calling her a ghost. She felt so backed into a corner that she couldn’t endure living anymore. At the age of 800, the girl left this world, despite being immortal and ageless. Simply, her will to live ceased to be. “I want to be young forever.” “I don’t want to be old.” “I want to live just a little bit longer.” Many people have these kind of desires, but with time all people grow old. After some time, death will pay us all a visit.